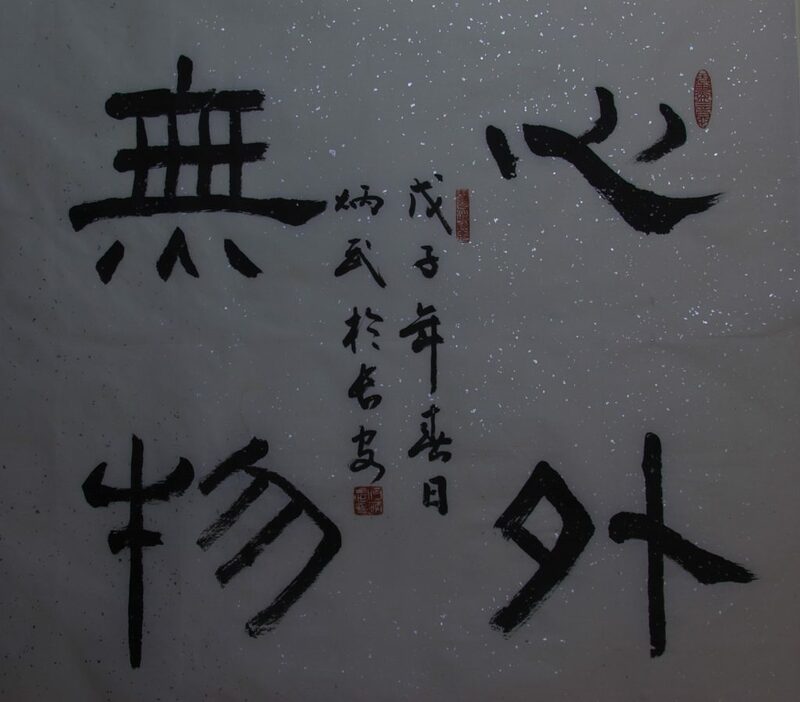 Over the long history of five thousand years of Chinese writing there are many versions and styles of calligraphy. They may be classified into nine major scripts that represent critical variations that have been widely used for over hundreds of years. Chinese writing evolves and changes in script over time, while new ones ushered in as the popular fashion of the time those ones it replaced sustained the interest of the artists-scholar for their muse in calligraphic style. As a result, calligraphers of all ages continue to practice their art in all these different scripts till today. The thousands of characters retain their basic graphical form even as the different scripts emerge in variant styles of the calligrapher(s). These scripts are variations and derivatives from their predecessor and can be traced all the way back to the earliest script of the oracle bones found from 3300 years ago. A very small number of characters can be interpreted from certain signs painted on Neolithic period between 5000 to 7000 years. It is one of the the oldest writing systems in the world that continues to be in use by the largest population on this planet today. 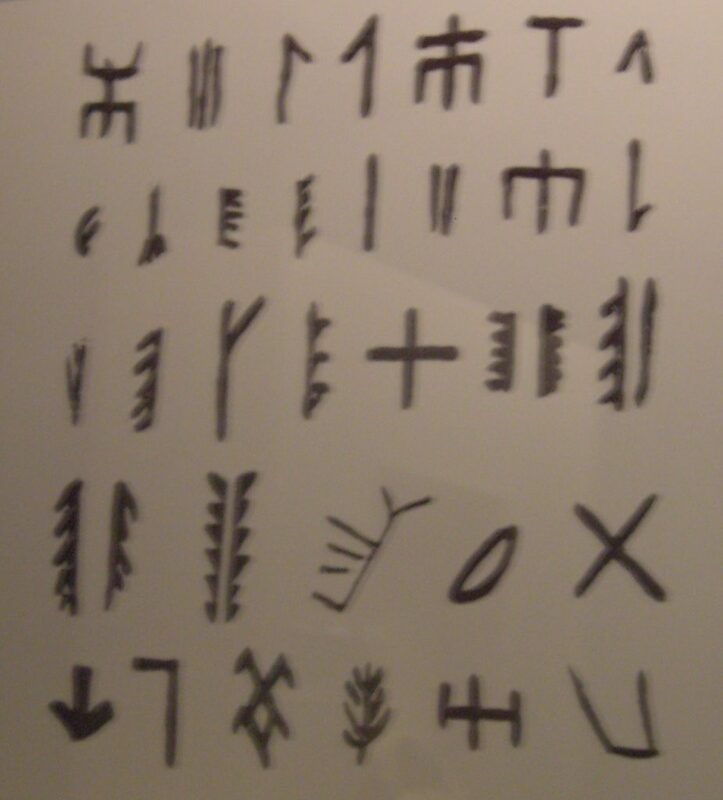 It remains the only writing system that is used for the longest time uninterrupted for the last three millennia. Each single character written in any script is an art form in its own right. Magnificent masterpieces that exudes inspiring aesthetics are admired and appreciated by both master calligraphers and aficionados alike through ages. Their works are often “read” as models and emulated by generations of neophytes and experts. One could certainly approach Chinese calligraphy as works of abstract art like those of Juan Miro and Paul Klee without knowing Chinese. A brief introduction of each of the nine major scripts in the long history of evolution is given as follows. 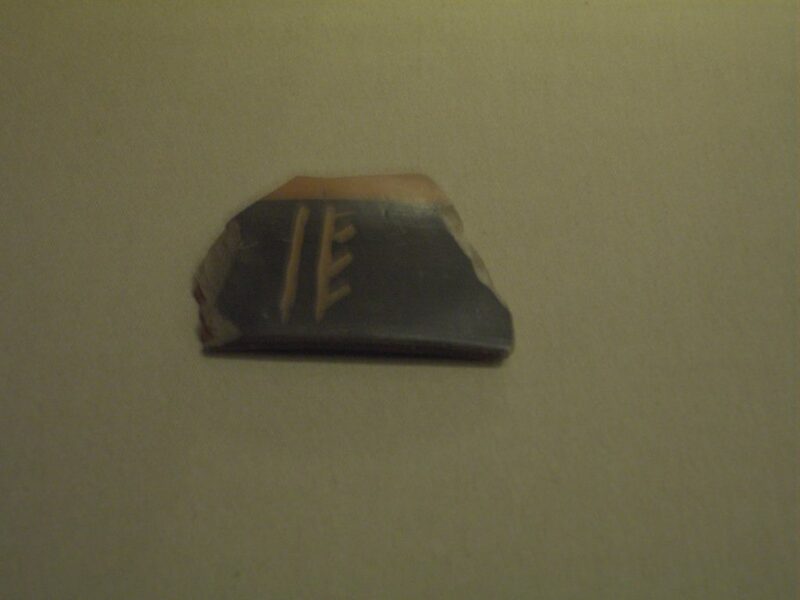 Signs and symbols were found on ceramic objects. So far, most scholars do not considered these as part of a mature and formal writing system, one that can be used to form sentences. That is why it can only be described as a kind of sign script. The longest string consists of only seven such signs. 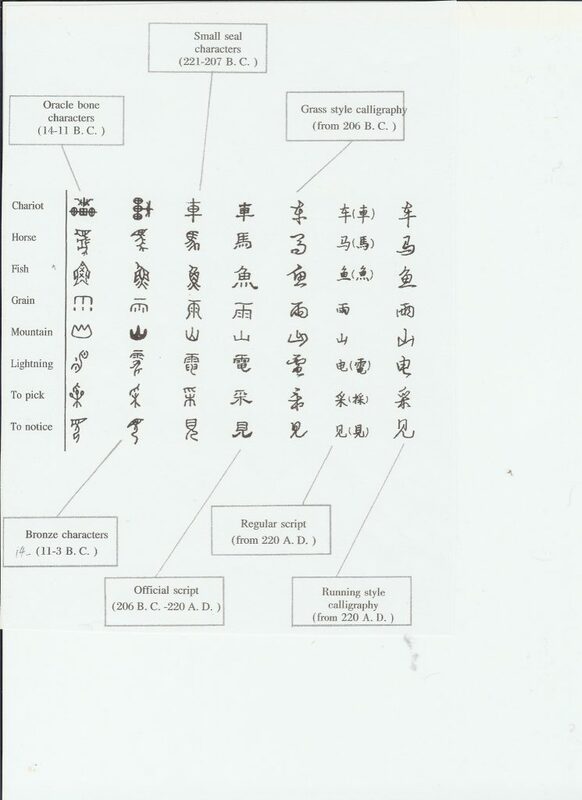 However, crucial characteristics of Chinese writing had already emerged. First each sign is unitary for it occupies a unit space of its own. Second they do not seem to form any alphabet. Third these signs are rather abstract since each is composed of short and simple strokes intended to signify certain meaning rather than imitate an object or present a picture. The Bone Script is the type of writing that was etched onto animal bones and tortoise shells. It is the earliest of Chinese writing that is fully matured as a linguistic system for literary compositions. Over 100,000 pieces of bones with inscriptions were found since the first archaeological discovery of oracle bones with inscriptions in 1898. The different genres of compositions found etched on these bones include oracles on wide range of subjects from war and peace, ceremonies for ancestral worship, hunting, agriculture, prayers for harvest or rain, weddings and births. The earliest were dated in the 13th century BCE of the Yin Shang Dynasty. This script remained in use for at least another hundred years during the early period of the Zhou Dynasty that follows. Although inscriptions were seen on bronze ceremonial vessels the texts were brief and serve as markers of ownership or dedications. It is during the Zhou Dynasty that the use of bronze was in vogue. These extravagant bronze vessels were tokens of title and authority granted by the ruler as detailed in the inscribed text. These official documents of title are literally cast in bronze for generations to preserve. The bronze script is distinguished in its powerful strokes and austere structures that are intended to present the utmost authority. Each character is executed with precision and delicacy of aesthetics. 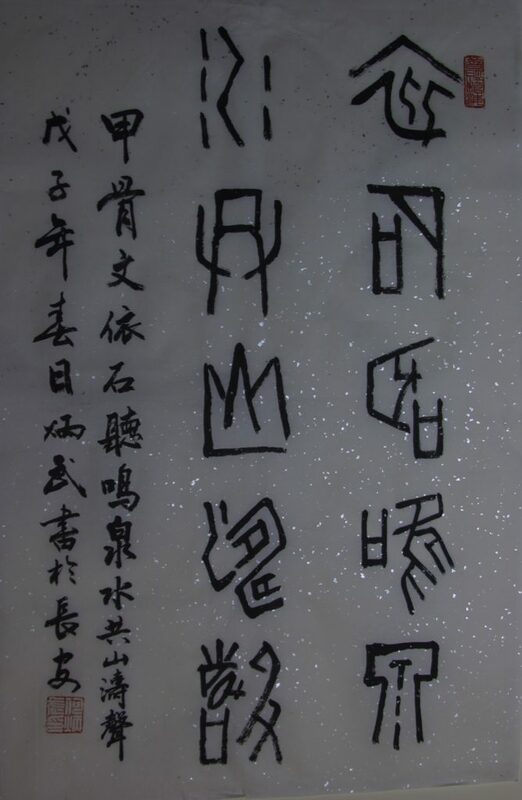 As the population grew and the territories expanded over the last one thousand years since the Yin Shang Dynasty different variations of the bronze script emerged in various regions of the country. In earlier times writing is a highly privileged performance reserved for the ruler and his court. However during the great expansion of the officialdom of Zhou dynasty with its elaborate governance system there was huge demand for documentation of official transactions first among authorities at different levels from the central government to the regions and their counties and towns. After the unification of the entire country the first Emperor of China who founded the Qin Dynasty commissioned his prime minister Li Shi to implement his policy of “Shu tong wen” i.e. writing with one single script. This unification of writing has profound impact on Chinese language till the modern day. It is called the Seal Script because it was formally used for carving seals that conveyed authority of approval on official documents. Most notable relics of this script are those carved on the Qin stone drum. The rise of the class of intellectuals greatly enlarges the population of the literate. To meet their demand new technologies of writing were invented. Instead of casting inscription on bronze and carving on stone tablets text can be quickly written with the newly developed brushes made of animal hair on different media. Among them are silk clothes, wooden plats and bamboo strips. Exquisite renditions of the famous classics of LaoZi and Confucius were discovered recently. They were written on bamboo strips and gave the world the first look at these classics as they were written in the 5th century BCE and concluded the debate on doubting the authenticity of these classics once and for all. Grass Script or CaoShu is also called cursive script. In contrast to all the other genres that were either issued or sanctioned by the government up to this point, Grass Script is more the result of spontaneous grass-root movement of the time. It pushed the envelope of freedom for personal expression that the Official Script had opened up and revolutionized Chinese writing from the formal and authoritative Bronze Script and Seal Script of the past. Grass Script was recognized as an innovative way of writing at the beginning of the Han Dynasty (206 BCE- 220 ACE). Its development seems to have occurred earlier in the late Warring States period and matured during the next four hundred years. 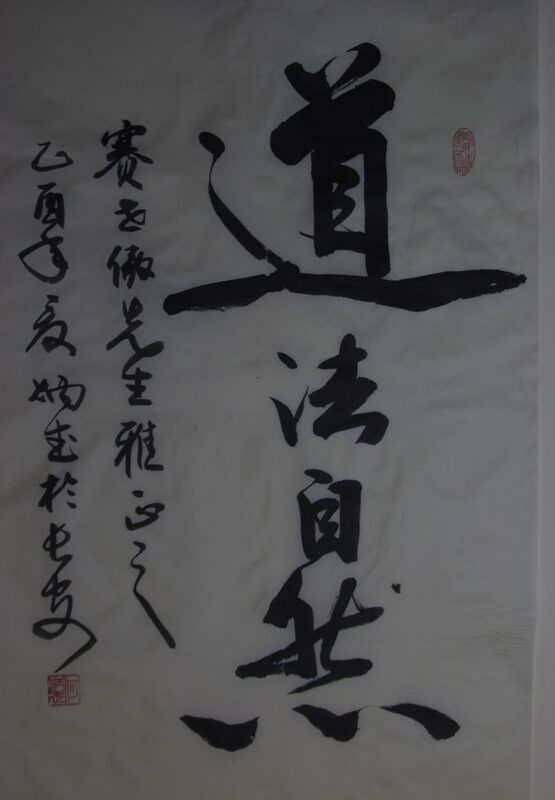 The Standard Script or KaiShu is still the standard of Chinese writing today. It is also called the Model or Regular script. It is largely derived from LiShu during the Han Dynasty and flourished in the following Eastern Jin (317-420) and Tang (618-907) dynasties. It was intended to replace LiShu and was indeed commonly used by the general public and certainly the literati of their time for formal personal and commercial communication as well as for official documents. Running Script or XingShu is a modified version of the Standard Script used more for personal writing. It is less dramatic and free than the Grass Script but also less formal than the Standard Script: sort of in between. It naturally evolved from the Standard Script during the late Han and early Tang dynasty. It allows for more personal freedom and speedy execution and still renders characters to look more like the Standard Script and as such the characters remain very legible and easy to use. 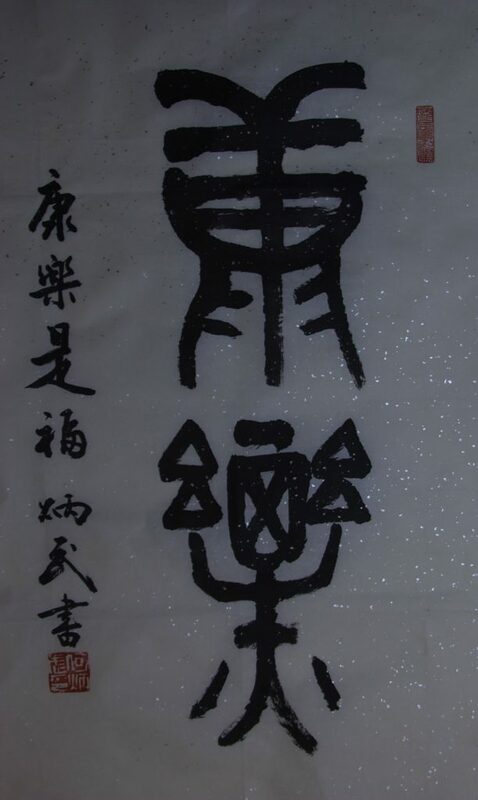 The Simplified Script or JianTi is the most recent and the only genre to have emerged since the Han dynasty (206 BCE – 220 ACE) over a thousand and eight hundred years ago. 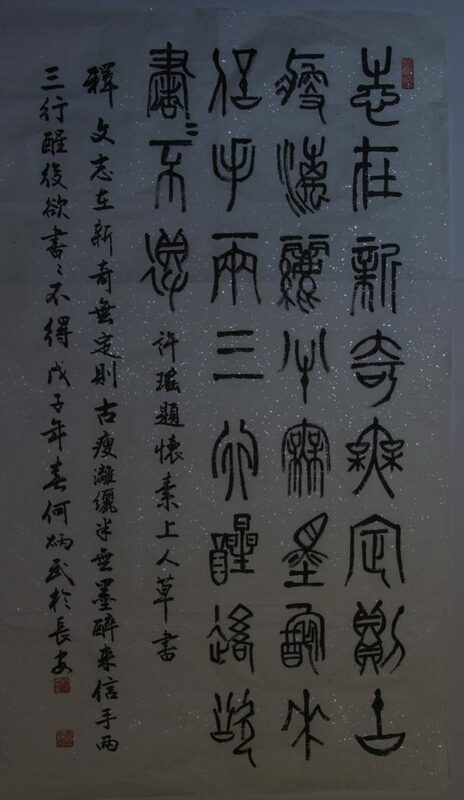 This modern twentieth century script is prescribed by the government of the Peoples Republic as the official writing script to replace the Standard Script, which is renamed as FanTi, 繁體, the “Complicated Script”. 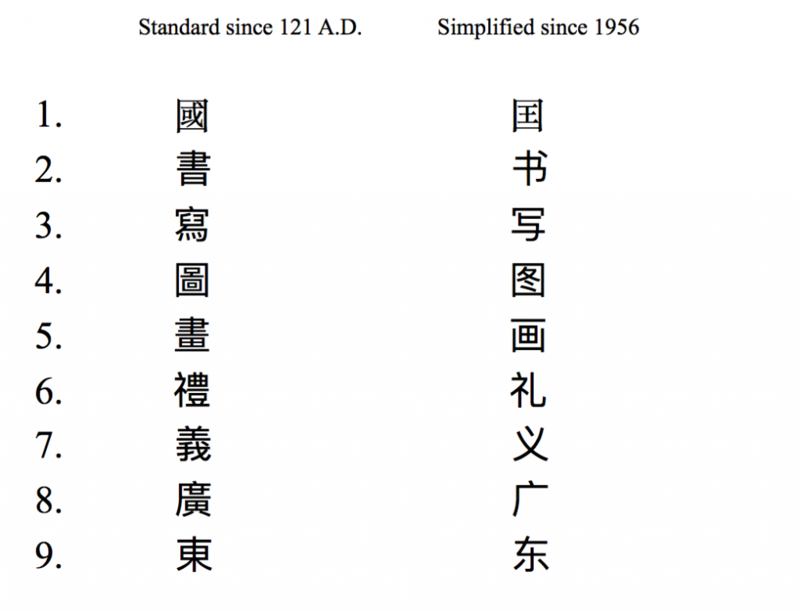 The first set of simplified characters was published in 1965 and consisted of 6,196 of the commonly used characters at that time. 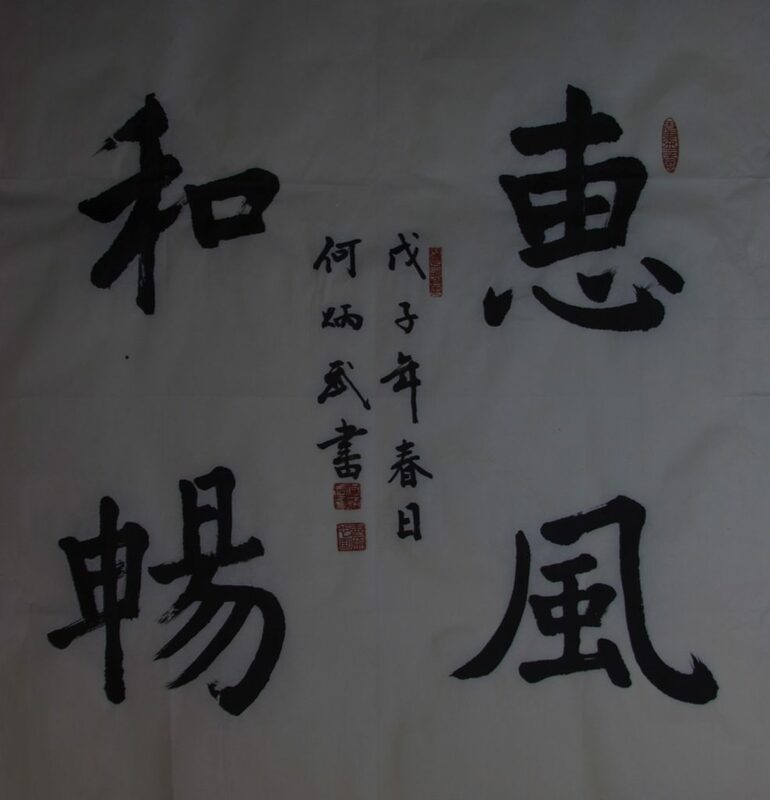 Each of these simplified characters was precisely defined with its graphical form, the number of strokes required and the order in which it is supposed to be written. All Chinese dictionaries are now published with these simplified characters. They are called simplified because their numbers of strokes are reduced from those corresponding complicated characters in the Standard Script. For instance, the simplified character 艳 with 10 strokes instead of 19 strokes of the character 艶 for the same word. And the 7-stroke character 体 replaces the 22-stroke one, 體. However, the Standard (Complicated) Script remains the official standard in Taiwan while both scripts are practiced in Hong Kong. 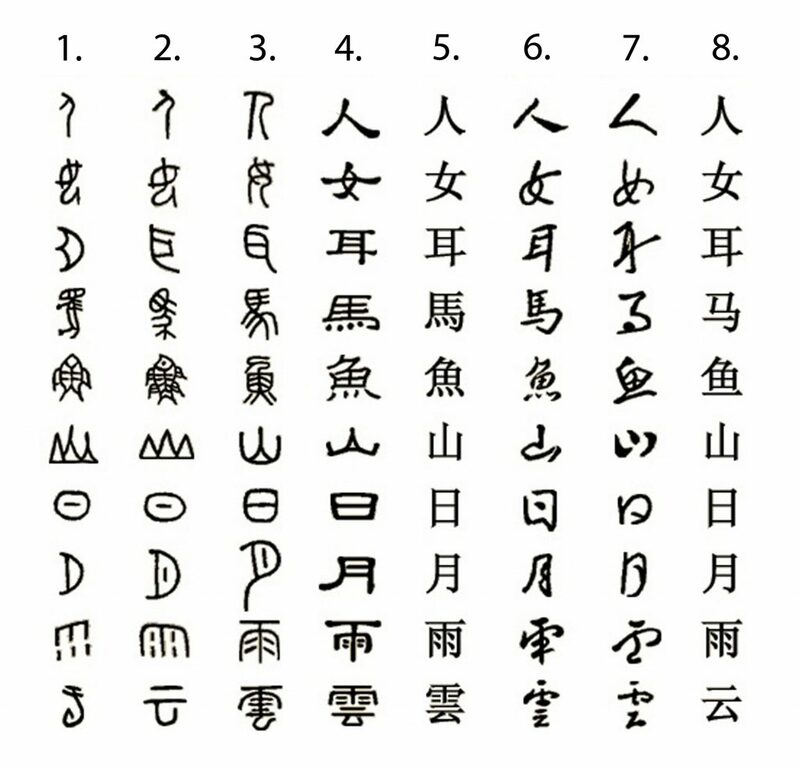 Examples of characters in Standard (also called Traditional or Complicated) Script as compared to Simplified Script. Note that characters that have few strokes are not further simplified. Credits: By permission of the artist, Prof. He Bingwu of the Academy of Social Science, Department of Ancient Texts in Xian, China, whose calligraphy works of art are specially commissioned for the illustration in this article.